Daily huddles are great for checking in on improvement work, but one mistake is that teams assume that decisions on how to address opportunities for improvement should be made during the huddle. This can result in prescribing solutions to problems without the proper due diligence needed to understand the root cause. Instead, the huddle meeting should be used to assign ownership and report progress. 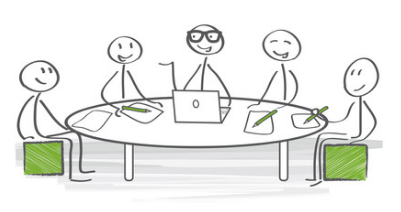 Huddle boards and meetings are where the rubber meets the road in terms of continuous improvement. Employees can get the opportunity to discuss the challenges of the day, which is critical for improvement culture. However, it is very easy for staff to focus on issues that are problematic for them at the moment, but not necessarily aligned with the strategic objectives of the organization. When resources and time are limited and priorities must be established, it is important to align them with the organization’s goals. Physical huddle boards have some limitations. They make it difficult for remote or traveling team members to participate in huddle meetings and improvement work. There is no way to roll them up in a way that makes it easy for executive leadership to track the health of improvement throughout the organization. In addition, due to space limits, once an improvement is complete, it must be removed from the board, making it difficult to learn from past work. Making the meetings or huddle boards digital will enable the company to have participation across the board and make progress easier to track. 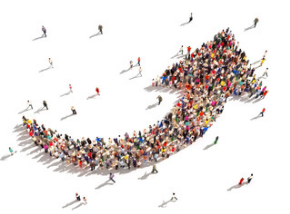 Any attempt at continuous improvement is to be applauded and Thrive can help your company improve development! Leadership is an ongoing learning process. With so many different ways to lead, varied personalities entering the workforce, and evolving work habits, the way leaders effectively bring their organization forward changes constantly. In 2018, more millennials will submit applications for jobs and stake their place in the workplace. This will force leaders to continue to adapt their styles to meet the new demands, expectations, and communication styles of this emerging workforce.If you’re a leader, this is your year to shake things up, get a little uncomfortable, and learn fresh new ways to bring your organization forward. It’s the standard battle cry of management: delegate, delegate, delegate!It’s normal to want to ensure your work gets done on time and correctly; handing off responsibility to someone else makes that difficult. What if they drop the ball? What if the quality isn’t up to par? What if something goes wrong? Delegation isn’t a choice—it’s mandatory these days. With work piling up on your desk and new projects on the horizon, it’s critical that you step into the new year with a new mindset about asking for help. Talk to your team about your expectations so you can delegate more and in turn produce more this year. What decisions have you been sitting on this year? What have you put off doing or deciding on because you’re just not sure of the right approach?Making decisions is hard work. It requires you to choose a path and forge full steam ahead. Resolve to make faster and better decisions in 2018 by giving yourself a deadline and sticking to it. Promise yourself that whatever you decide on by the due date will be the path you take. Technology today has given us the gift of having resources for just about everything. Have you put these apps and programs to full use yet? Harness your resources by using programs available to you. For example, work faster on payroll by finally investing in more efficient payroll software. Or, spend less time on scheduling by finally implementing a new online scheduling app. The technology is there to make your life easier and Thrive can help implement! Ron Heiskell, President of ReducedEffort, addresses his biggest challenge in reducing changeover downtime – changing the way people work. 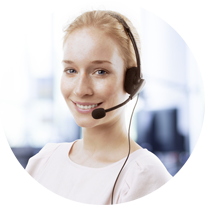 Operators grow accustom to the way they’ve been trained and so implementing a new process may be difficult. To avoid paradigm paralysis, Ron suggests videotaping the changeover and having the changeover operators watch the video. By doing this the operators will begin to see different ways they can work if they focus on reducing their efforts. In addition, by changing the way people think about their work and give them a different vantage point to view the process, the way they work will automatically change. Every business wants to make a profit, and in order to withstand the test of time, a healthy profit is a necessity. But what’s the best way to increase your profit margins and boost your company’s bottom line? Is the secret cutting back on expenses or raising prices? Maybe cutting back on inventory or renegotiate supplier fees would help? Or perhaps your small business needs to amp-up its marketing plan. Always focus on profitability. Pricing should never be “off the cuff.” Your small business should have a pricing structure that fully supports costs and expenses, including profits. Can you imagine a business without profitability? It is simply impossible! Researching the market is essential to starting any new enterprise, but starting off by averaging what the competition charges is not a sustainable business model. A price list should be based on your business, not your competitors! Take all of your expenditures (even the hidden ones, like prep and finishing) and make sure your business’ floor plan is laid out for maximum efficiency. Then, start measuring realistic production times. Take a stopwatch if you have to. Crunch all the numbers, using times for typical yield based on actual production, and have a pricing structure that balances the numbers properly. One goal could be to get flat-rate pricing that covers all expenses, with the right profit built-in. The main thing to keep in mind is you got into the embroidery business to make money. With a little planning and using these four tips, your shop can grow steadily and remain profitable. When machines stop, so do profits. This is why there should be a variety of projects, with both low and high profit margins. Having the occasional high-volume/low-margin project intermixed with several high-profit, yet small-quantity jobs will keep your progress steady and manageable. From customer service to quality control, Thrive can help identify the unique approach necessary to boost your small business and your bottom line! The financial component is the one most are familiar with because it has traditionally been the only part that a company has to be concerned about. The concept of natural capital has gained increased attention as we realize that many of the natural resources we take for granted are not going to be around forever. What Does This Mean for Your Business? Remember that your business is all about people. The more that you can do this, the more that you will build goodwill and loyalty among the people who make your business possible. In turn, this will help your business to be sustainable for the long-term. You may have a gut feeling that your business is humming along smoothly — and you might be spot on. But there is no substitute for concrete numbers when it comes to measuring your business’ financial health. That’s where financial KPIs — key performance indicators — come in. 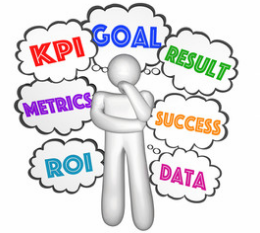 KPI is a blanket term for the types of markers that businesses use to measure performance in a variety of areas, from marketing to HR to finance. Keeping close tabs on your small business’ financial performance is essential to long-term success. These financial KPIs will help you answer the question: Is my business meeting its goals? 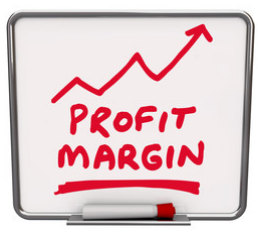 Gross Profit Margin : Your gross profit margin tells you whether you are pricing your goods or services appropriately. Your gross profit margin should be large enough to cover your fixed (operating) expenses and leave you with a profit at the end of the day. Net Profit : This is where the rubber hits the road. Your net profit is your bottom line — the amount of cash left over after you’ve paid all the bills. Financing is also a possibility to help smooth out seasonal fluctuations. Many companies go this route to keep things moving during the down season. 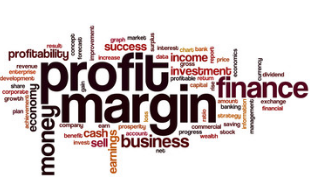 Net Profit Margin : Net profit margin tells you what percentage of your revenue was profit. This metric helps you project future profits and set goals and benchmarks for profitability. Aging Accounts Receivable : If your business involves sending bills to customers, an accounts receivable aging report (most likely a standard report in your accounting software) can be eye-opening. 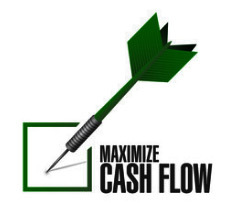 Invoice financing is also an option that can help you capitalize on outstanding invoices. Thrive knows the importance of your business’ health. Let Thrive monitor your KPI so you don’t have to and you won’t have to question if your business is meeting its goals. Measure only what you monitor, and monitor what you measure. The bottom line is that if you don’t manage your business, it will manage you. If you’re aiming at nothing, you will hit it with huge accuracy! One of the main reasons so many small businesses fail, is the owners simply don’t know how or what to measure, or even when. Using metrics will help increase your business’ profitability. Gross margin is an important metric to understanding profitability. Gross margin helps identify variances in production costs or inefficiencies in managing labor costs. Reviewing this metric over several intervals will identify where inefficiencies occur or where costs can be lowered and/or re-negotiated with suppliers. The gross margin is also impacted by sales price and validates when changes are necessary. Another important measure is net profit margin, which illustrates the portion of profit generated from each sale. This is likely the most vital data point in understanding profitability. This metric reveals efficiencies, economies of scale, as well whether or not your overhead expenses are in line with your performance. Most business owners are very aware of their current cash balance; however, they typically do not understand the dynamics of their cash flow. 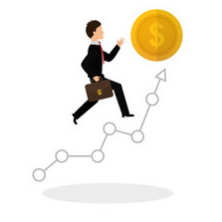 Part of your statement of cash flow, the cash flow from operations line, describes the cash being generated by the business operations, over a defined period of time. While a company may show a positive trend with net profit margin, a negative trend in accounts receivables or lack of management of accounts payable, can easily alter the cash flow of a company. So many times, an owner says “My income statement shows that I am making money but I don’t understand why the cash isn’t there”. Since cash flow problems are most typically the culprit of failing companies, you can see why this metric made the list of those most important to track. Thrive provides a way to help track your business’ profitability utilizing metrics like these so that you can focus on your team and continued successes.